Phil Day, a popular teacher at Shebbear in the 1950s and known throughout the school as ”Skip” for his leadership of the Senior Scout Troop, has died. He was one of a group of young masters recruited by Jack Morris and taught French and English and later Physical Education. He was a graduate of the University of Wales and also spent three years with the Royal Welsh Fusiliers. He was married firstly to the sister of a Shebbearian. Moving to Canada, he graduated again from the University of Toronto, before teaching at Appleby College. 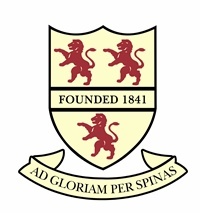 In 1989 joined the faculty of St Andrew’s College “with boundless energy, resolve and commitment”. He died in January 2005, aged 76, after a long illness, and is survived by his second wife Sheryl, son Nigel and daughter Nicola and their children. The OSA has learned of the death of Paddy Hipperson who with Trevor Ward enjoyed iconic sporting status in the early 1950s. He was at Shebbear from 1942-54 after which he entered Cranwell. In a 20-year career with the RAF, he flew fighter aircraft, trained as a flying instructor and then transferred to RAF Transport Command. Later he flew civilian aircraft. He was a Boeing 747 Captain with Virgin Atlantic when he retired in 1995. He died following a heart attack in May 2004, aged 69. A full obituary will appear in the Shebbearian. Teacher and journalist John Wilkins died from a sudden heart attack at his home in Exeter in May 2006. He was aged 60 and unmarried. His brother Peter writes: “John was at Shebbear from 1956-62 and left to attend Avery Hill College of Education in London where he was successful in obtaining a B.Ed degree. “He taught in various primary schools in London and Devon before leaving for Queensland, Australia, to take up a teaching post there. “Through part-time study he took a degree in journalism at the University of Queensland and went on to work for the Publications’ Department of the Queensland Department of Education, a post in which he felt very happy and fulfilled. “He returned to England in 1986 and worked briefly for Reuters news agency before going on to accept a post as a writer for an Exeter firm producing medical manuals for use in hospitals. “John remained a committed socialist and Christian to the end of his life and regularly attended St Leonard’s Church in Exeter. Dr Alan Hall, who spent his working life as a General Practitioner in Sleaford, Lincs, has died at the age of 85. He was at Shebbear from 1930 with his younger brother Keith and then entered St Mary’s Hospital, Paddington, as a medical student. Keith, two years younger, writes: “We were both very happy at Shebbear. Alan was quickly spotted as a high flier. He matriculated at fourteen, then spent three years in the sixth form before he was able to get entrance to St Mary’s Medical School. “Alan was a very good all-rounder. He was opening bat for the 1st X1 when Don Farley was captain. Her also got his rugger colours as a centre three-quarter. “He finally went into general practice as Assistant GP in Sleaford where he was to spend the remainder of his medical career. “He lived a very full and active life and read the Daily Telegraph every day. He wrote his first letter to the Telegraph from the sixth form at Shebbear. If I recall correctly it was about the New Prayer Book. Dr Hall died in Lincoln County Hospital on April 2. He leaves a widow and two daughters. Trevor Ward, outstanding Shebbearian sportsman in the early 1950s, has died after a short illness. He was 71. After Shebbear, he played cricket and rugby for the RAF, rugby for Dorset & Wilts and Devon, and cricket for Devon in the Minor Counties Championship..
As a left-handed batsman, he formed a formidable opening partnership with Paddy Hipperson. Against Bideford Grammar School in his last season at Shebbear in 1953, Ward scored 105 not out and Hipperson 116. The school declared at 252 for 2. He trained as a teacher at St Luke’s College, Exeter, and taught for more than 30 years at schools in Paignton. He had a long association with both the cricket and rugby clubs in the town, scoring more than 1,500 points at fly half for Paignton and was top scorer for 14 seasons. He was immensely proud of his ability to spot young sportsmen with talent. One of them was Chris Read who went on to play cricket for England and another, Les Mears, a former pupil, who was picked to play rugby for England recently. The funeral was at Preston Church, Paignton, on April 7. He leaves a widow Ann, and three children, Rosemary, Joanne and Tim. Known throughout the school as “Gabby”, Bill Gibbons was at Shebbear from 1948-56. His home was in Lynton. He became a Ruddle House prefect and played rugby and cricket, captaining both the 2nd XV and 2nd X1. A hardworking boy, he gained a County Major Scholarship to the University of North Staffordshire (Keele) then one of Britain’s newest universities. We were never to know the subject in which he graduated but at some point later he emigrated to New Zealand where he worked as an administrator in education. In 1985 when his old school friend Geoffrey Wrayford, then Vicar of Frome, featured in a news story about officiating at the marriage of an American whose family links with the town went back to the Middle Ages, the story appeared in newspapers around the world. In the 1990s Bill visited the Wrayfords at their new Ministry in Minehead and later one of the Wrayford children stayed with Bill and his wife in Wellington. A boy at Shebbear from 1936-42, Brian Andrew was a highly-respected estate agent in Somerset for all his working life. He was also a local politician in Yeovil and a stalwart of the Methodist Church. He died aged 79 in hospital in Taunton after a long illness in December 2005. An obituary will appear in the next edition of the Shebbearian.